I recently received a promotion and hired my replacement; however, everyone who now reports to him hates him. He is a very talented manager of work, but lacks charisma and needs to improve on his people skills. We have lost a couple of good people due to his arrival, and a lot of other changes within the organization. I am working hard to help this manager develop but when do I give up for the sake of the team? This is a tough one. It’s always hard to let someone go; it’s much harder when you’ve hired the person – and harder yet when you’ve hired him or her to replace you. I can only imagine how deeply you want to make this work. And that’s all too likely to cloud your judgment about what’s happening. You say he “lacks charisma and needs to improve on his people skills” – but that’s pretty generic and mild: there are a lot of not-very-charismatic managers with not-great people skills who don’t engender hatred in their employees and cause good people to leave the organization! 1. Get really clear about what he’s doing that doesn’t work. How can you do that? Ask. And really listen. For instance, if you can do post-exit interviews with the folks who’ve left, that would be really helpful. Or perhaps there’s someone at this person’s level whose discretion and perceptions you trust. Whoever you talk to, get very curious. Dig down into what they tell you in order to get to behaviors. If the person you’re talking to says, for instance, “he’s arrogant,” ask “What does that look like?” or “Can you give me an example?” He or she might then say, “Whenever someone else has an idea, he immediately disagrees and talks at length about how his idea is better.” Bingo! That’s an actual behavior. And remember – you’re just trying to gather information here: resist the temptation to explain or defend the manager’s behavior, or your sources will shut right down. 2. Then, use what you’ve learned to set the bar for him. I’d suggest you select what you think are the three highest-leverage things for him to change (those things that you think would have the biggest positive impact on those around him). Then explain them to him, ask if he thinks he can change them, and – if so – decide if he can change them himself (unlikely) or if he needs a coach or some skill training to help him learn new behaviors. Agree on a time-frame for improvement (3-4 months is generally reasonable). Let him know that his continued employment is dependent on the improvement you’ve agreed upon (it’s critical that he know the consequences). 3. Throughout the trial period, do your level best to provide balanced feedback. If you see improvement, say that. If you see him doing the behaviors he’s agreed to stop or change, say that. 4. At the end of the trial period, fish or cut bait. This is the hardest part. If he hasn’t improved, or has only improved marginally, let him go. Free him, as a client of mine used to say, “to take his considerable talents elsewhere.” You’ve given him a fair and reasonable chance, and he is clearly unwilling or unable to change. Hope this is helpful – please let us know how it goes. I’ve got my fingers crossed for a positive outcome. 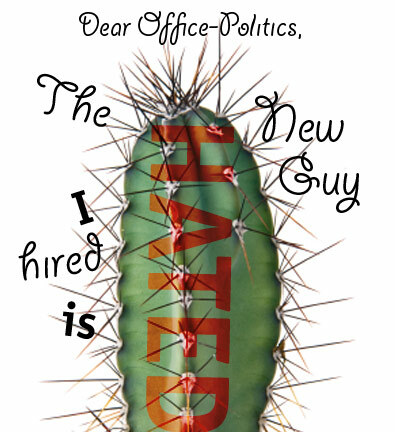 Thanks for writing to Office Politics. Erika Andersen is the author of Growing Great Employees, newly released in paperback, which is a Kirkus Reviews recommended business book for 2007. Erika Andersen and her colleagues at Proteus International, the company she founded in 1990, offer practical approaches for individuals and organizations to clarify and move toward their hoped-for-future. Much of Erika’s recent work has focused on vision and strategy, executive coaching, and culture change. She has served as consultant and advisor to the CEOs and senior executives of corporations like MTV Networks, Molson Coors Brewing, Rainbow Media Holdings, Union Square Hospitality Group, and Comcast Corporation. Erika is an inaugural author of the Penguin Speakers Bureau, and she has been quoted in the New York Times, Industry Week, Investors’ Business daily, and Fortune.